Value-based care is not a new concept, and private payers are adopting it more quickly than expected. Still, implementation times could be longer than a year — and that’s too long. Advanced technology can help. Alternative payment models are expected to reduce healthcare costs. As value-based care gains traction, survey results indicate that payers cannot implement the alternative payment models as fast as needed. 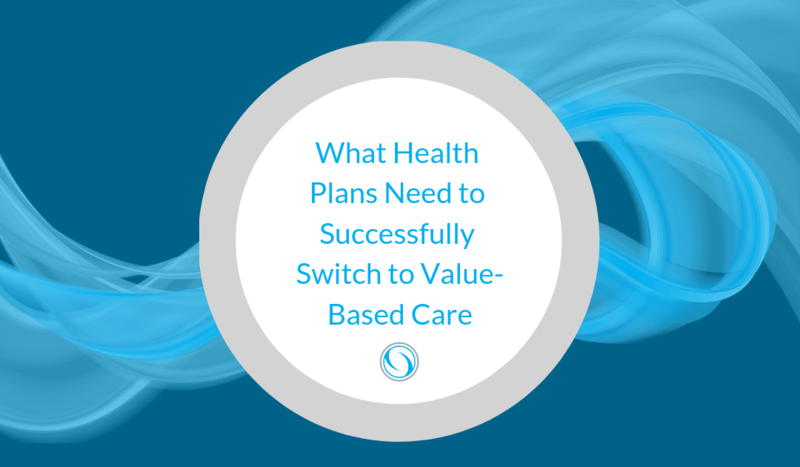 Most health plans (over one-third) surveyed say it will take them at least a year to implement value-based care models. That’s not soon enough according to CMS, who said last year they would essentially force alternative care models through as soon as possible. Are health payers (and providers) ready to implement alternative pay models and assume the financial risk incumbent with the shift to value-based care? Health payers can approach value-based care in a few different ways. One is through pre-determining costs for an episode of care, called bundled payments. Already widely adopted in Medicare, the private sector has been slow to implement bundled payments despite evidence that they are financially beneficial for payers. More recently private payers have begun to explore bundled payments, exploring how to implement models for areas of care that Medicare doesn’t generally cover (such as maternity care). Success comes down to communication, say experts. “Building stronger lines of communication with specialty care is one of the most attractive pieces of bundled payment models, as that is often one of the costliest areas of care,” reports FierceHealthcare, adding that in return, “providers also need to have access to a payer’s treasure trove of use and cost data to map variability and follow the money.” This access comes in the form of data sharing, a feature that value-based care broadly relies on. To prepare for value-based care, payers and providers alike have to account for the increase of shared financial risk inherent to this new model of care. Fears of assuming financial risk slowed adoption, but a survey released this week says that nearly 40% of health executives interviewed think that risk won’t be fully assumed in the market for 3-5 years. A small sub-set, 6% of participants, think increased risk will never come to fruition. Payers Are Adopting Value-Based Care but Can They Implement It Fast Enough? With risk sharing delayed, payers are speeding up in their adoption of value-based care, though findings vary with at least one report saying adoption will slow down once risk is assumed. Regardless, adopters face a snag when it comes time for implementation: only 21% of surveyed payers say they could implement value-based care models sooner than a year. The problem is that value-based care relies on data — more specifically, on sharing it. For example, one facet of this new model of care is that it urges providers to prevent adverse outcomes, identifying problems before they arise. To do so, providers need access to the complete patient picture, rather than health information siloed across the vast continuum of care. Yet, interoperability is still a struggle for many health organizations, making the stress of transitioning to value-based care models all the more difficult. It’s not just data sharing that’s a problem for payers. A lack of incentive for providers and payers to work closely together, as well as disagreements on outcomes, are both barriers to adopting alternative payment models. An open system required for value-based care is a red flag for private insurers who feel inclined to keep data within their organization, worried that sharing it will affect a competitive edge. Despite this, payers are poised to adopt a new model of care with CMS rules only deepening their resolve. “Medicare is one of the most powerful tools available to policymakers to change the healthcare system at large. It’s why the program is—and must be—the driving force behind the broader industry transition away from fee-for-service payment,” reports FierceHealthcare in an interview with Mike Leavitt, former HHS secretary. What’s Your Health Plan’s Strategy? Robust payment integrity technology can support your path to adopting value-based care models. As the industry begins to adopt and implement alternative pay models, like bundled payments, it grows ever clearer that care coordination must improve. Transparent data sharing, complex process management and the technology needed for payment integrity operations is available through Pareo®.